Description: Thomas Reginald 'Tommy' Handley was a British comedian, mainly known for the BBC radio programme ITMA ('It's That Man Again'). He was born on 17 January 1892 at Toxteth Park, Liverpool in Lancashire. He served with a kite balloon section of the Royal Naval Air Service during World War I and went on to work in variety, and in the infancy of radio became known as a regular broadcaster. He worked with people such as Arthur Askey and Bob Monkhouse, and wrote many radio scripts, but it is the BBC comedy series ITMA for which he is best known, and which itself became known for a number of catchphrases, some of which entered popular vocabulary. He later starred in the ITMA film in 1942 and in Time Flies in 1944. He lived at this house from 1892 to 1949, passing away on January 9 that year. 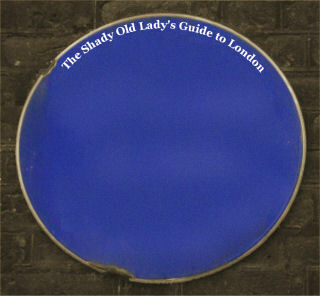 A blue plaque can be found on the property, which is a good thing.